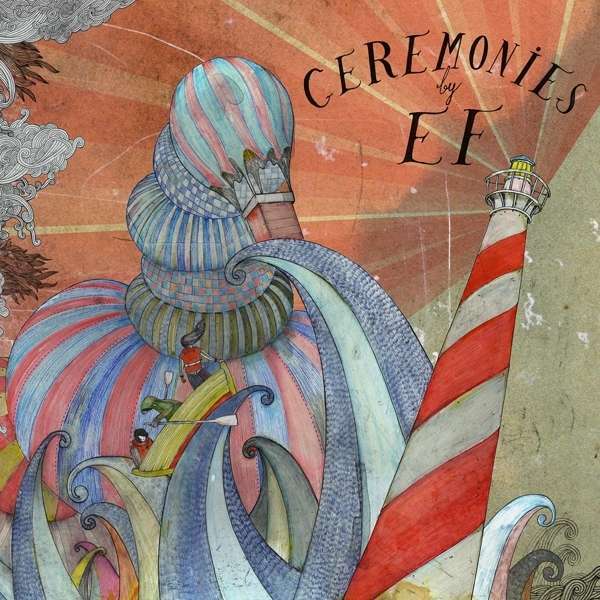 Der Artikel Ef: Ceremonies (Limited Numbered Edition) wurde in den Warenkorb gelegt. 2013 marks the 10 year celebration of EF's existence and what better way is there than to celebrate this with the release of their 4th studio album! We're happy and proud to announce that "Ceremonies" will be released in September. In autumn of 2012 the band released a glimpse of their ever evolving sound on the 10" vinyl EP "Delusions of grandeur", to rave reviews in both the alternative press and the metal media - the sound of that EP hinted at a new beginning; a potential infatuation with pop-ish song efforts? This is one of EF's greatest strenghts. They appeal to both bearded indie rockers, horn throwing metal heads and intensely staring post-rockers at the same time. They can be heavy and fragile simultaneously, and they are not affraid to push their own boundaries "Ceremonies" is once again an expedition through the landscape of sound that EF conjures up with great efficacy. Their love of melody and harmony alive, carried by heavy rythms, only to be dispersed into a sonic aurora borealis; with improved vocal and orchestral arrangements including more strings, horns, piano and even the use of synthesizers. And, once again given the carefully sculpted mix production by Magnus Lindberg (Cult Of Luna).